I’m so very excited to have a story in this wonderful anthology from EDGE, edited by JR Campbell and Charles Prepolec! Gaslight Gothic has a Kit Caswell (Ripper) story in it, called “A Matter of Light” – and she gets to take on Sherlock Holmes himself! This was a huge challenge, but I’m pretty happy with the result. 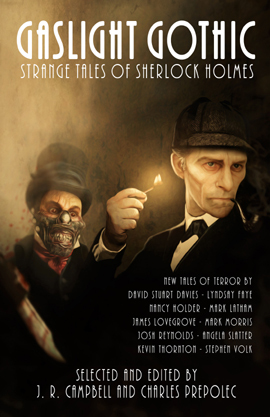 This entry was posted in News and tagged angela slatter, David Stuart Davies, EDGE, Gaslight Gothic, James Lovegrove, Josh Reynolds, JR Campbell and Charles Prepolec, Kevin P. Thornton, Lyndsay Faye, Mark A. Latham, Mark Morris, Nancy Holder, sherlock holmes, stephen volk. Bookmark the permalink.